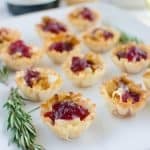 Cranberry Brie Bites – a quick and easy holiday appetizer! 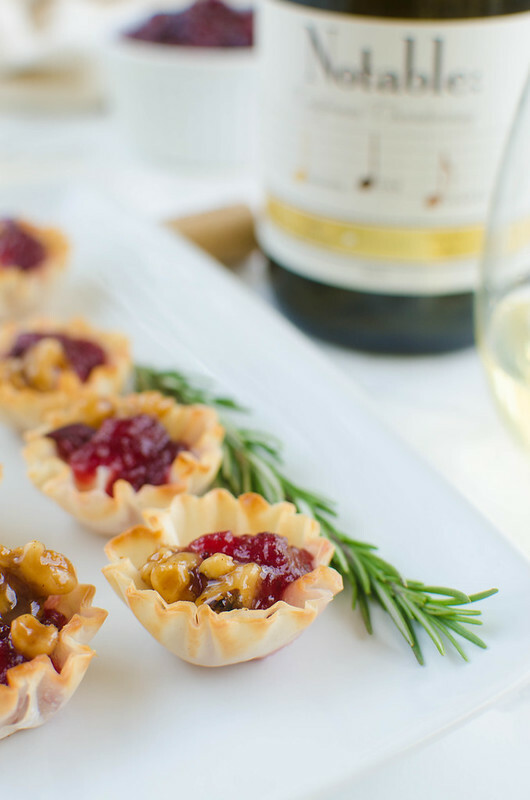 Melted brie and cranberry sauce in crisp phyllo cups with candied walnuts on top! I can’t even believe we’re weeks away Thanksgiving. You guys, how did this happen?! I feel like I’m behind on planning everything – have you figured out your menu yet? I forever have that problem where I have so many recipes I want to try but I also want to make all the holiday classics and there’s just not enough room on my table for everything and it’s just me and my 3 boys so it’s not like we need a ton of food. I do have desserts figured out which, you know, is the most important part. Also super important for holiday gatherings? 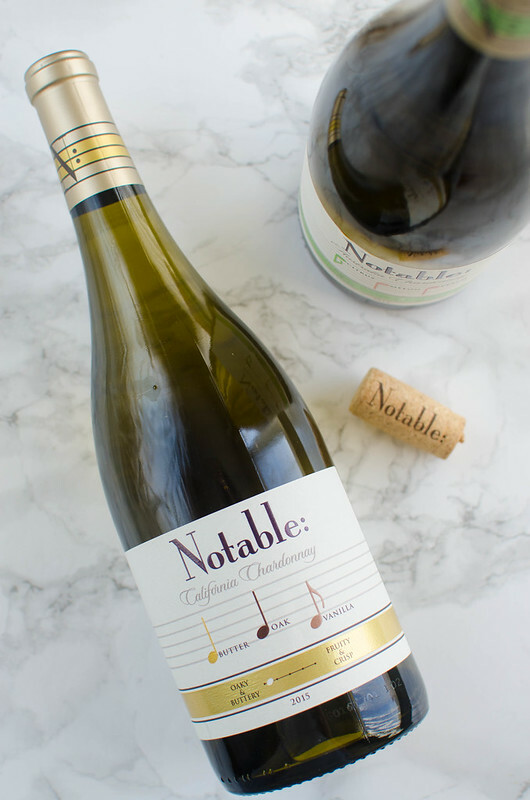 Notable Wines is perfect for all your Chardonnay needs! They are the first wine to highlight the flavor profiles on the front of the bottle so it’s super easy to find the Oaky and Buttery Chardonnay if that’s what you’re into or the Fruity and Crispy Chardonnay if you prefer that. 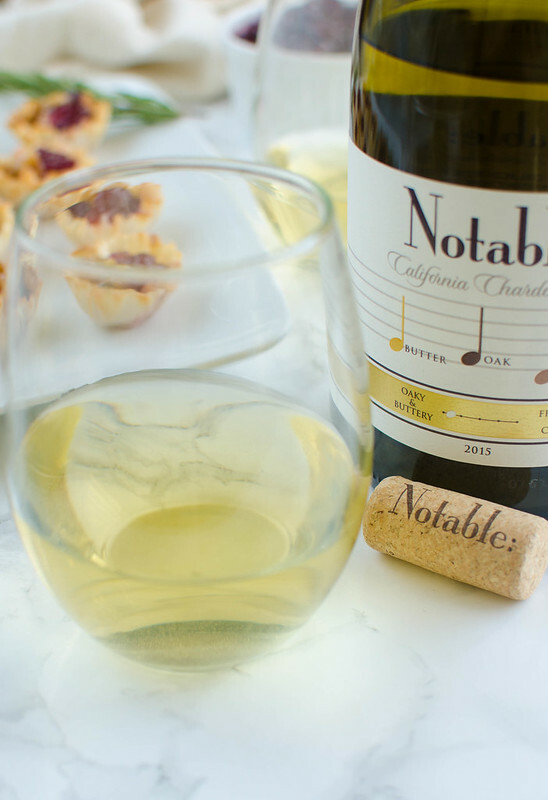 The Notable: Oaky & Buttery Chardonnay has notes of butter, oak, and vanilla and the Notable: Fruity & Crisp Chardonnay has notes of citrus, melon, and peach. They’re both incredibly delicious and, like I mentioned, the labels make it really easy to figure out which flavor profile you want. Definitely makes the wine aisle a little less confusing – all you have to do is follow the flavor notes! To find Notable Wines near you, use their store locator. 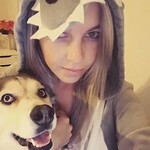 You can also follow them on Facebook and Instagram. So what should you make to pair with your Notable Wines? 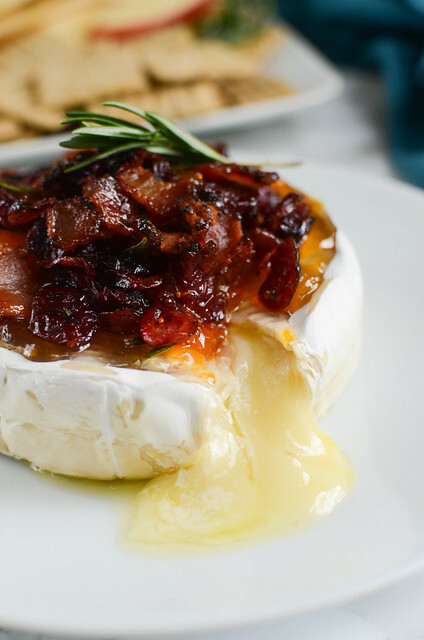 Brie is my go-to when it comes to holiday appetizers and I love how much simpler these little bites are compared to a big round of baked brie. 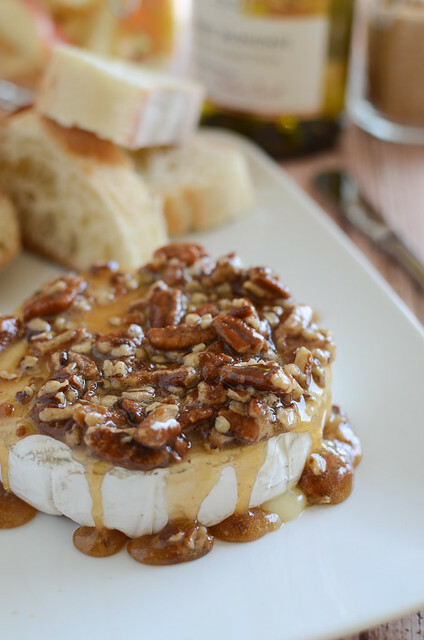 You still get the oozy brie but there’s no mess, you don’t have to linger around the appetizer table awkwardly. 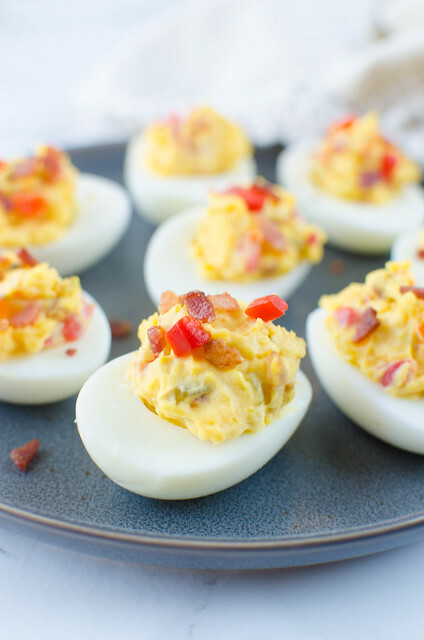 You can just grab a little bite when you want one. There’s also super simple and will take you minutes to put together. 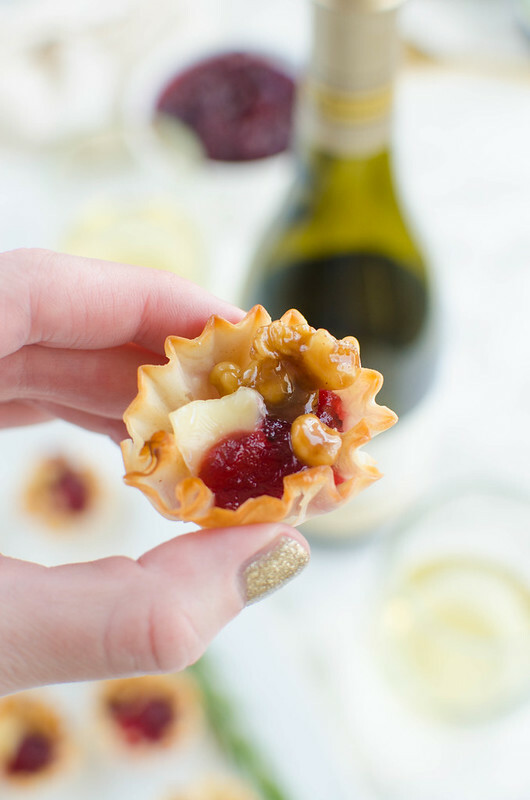 You start with those frozen phyllo cups and pop a little bit of brie in them. Spoon some whole berry cranberry sauce on top and bake until the cheese is melted, just a few minutes. And then when they come out of the oven, sprinkle some chopped candied walnuts (also super quick and can be made ahead!) on top. That’s it. To make the walnuts, melt butter, brown sugar, and cinnamon together in a small saucepan over low heat until sugar is completely dissolved. Stir in walnuts, making sure to coat all of them. Pour onto wax paper to cool completely. 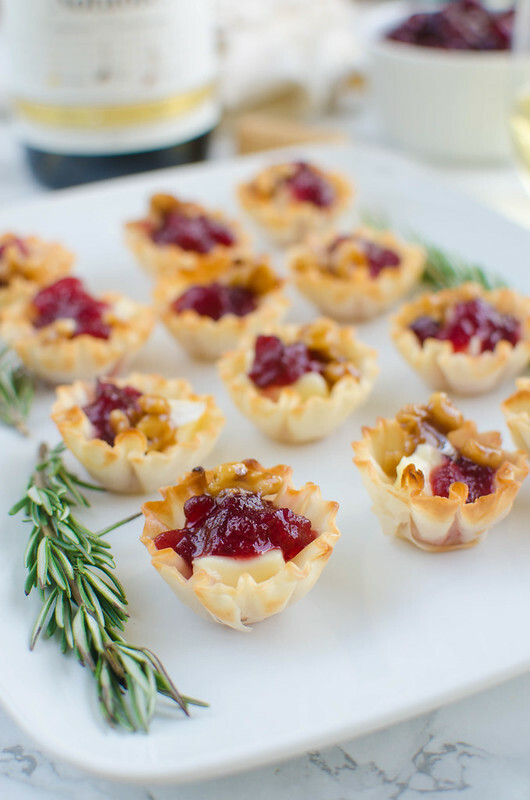 Place phyllo cups on a lined baking sheet. Place a piece of brie into each cup. Bake for 5 - 8 minutes, until brie has softened but not melted completely. Divide cranberry sauce between the cups. Sprinkle with candied walnuts.